Surprise! 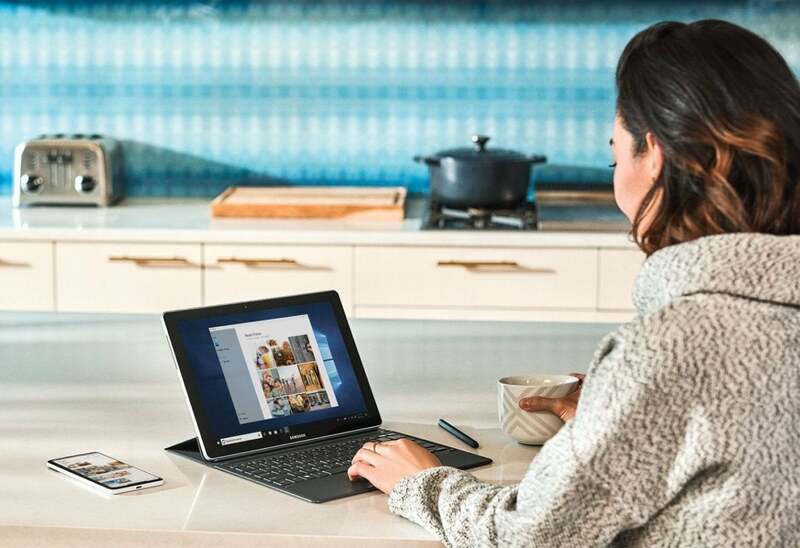 Microsoft released the Windows 10 October 2018 Update out of the blue at a Surface device event on Tuesday, and despite the boring name it’s a milestone ‘feature update.’ That means it’s brimming with new features, including a cloud clipboard that synchronizes across PCs and support for real-time ray tracing in games. But you’ll need to get proactive if you want to install the Windows 10 October 2018 Update today. In a blog post introducing the new features, Microsoft said that Windows Update will start automatically rolling the October 2018 Update (a.k.a. Build 1809) out to compatible PCs on October 9. Those tend to be staggered rollouts to ease the strain on Microsoft’s servers, however—meaning that not all PCs will get the upgrade right away. You can skip the line a couple different ways though. Update: Microsoft has pulled the Windows 10 October 2018 Update after reports of it deleting entire folders full of data. Do not upgrade until this issue has been fixed. If you've already downloaded the Upgrade Assistant using the second method outlined below, do not use it and wait for Microsoft to release a fixed version of build 1809. But before you attempt either, make sure your data’s backed up. It’s rare these days, but weird things can happen when you’re performing operating system upgrades. Check out PCWorld’s guides to the best backup software and best online backup services if you don’t already have a system in place. We’ve also evaluated the best free backup software and services, though no-cost options tend to be more limited in features. Got everything saved? Good. Let’s go. The first (and easiest) method is to simply head to Start > Settings > Update & Security > Windows Update and click the big Check for updates button. If you’re lucky—I was—you’ll see “Feature update to Windows 10, version 1809” become available and start downloading immediately. Just wait for it to download and install, reboot when prompted, and bam! You’re running the latest and greatest version of Windows. That method’s not always reliable though. If you don’t see it, head over to Microsoft’s Windows 10 download page instead. You’ll see a big banner at the top declaring that the Windows 10 October 2018 Update is now available. Click on the Update now button underneath it to download Microsoft’s Windows 10 Update Assistant software. Open it and click a second Update now button. The software will scan your computer to ensure it’s compatible. 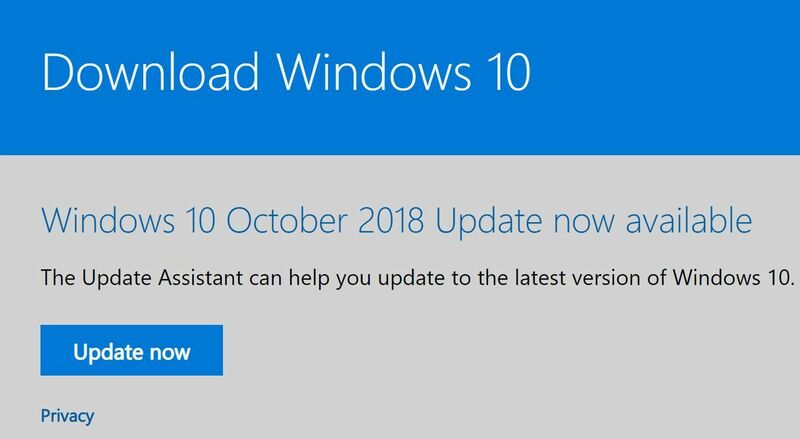 If the Update Assistant says your computer isn’t compatible with the October 2018 Update, don’t try to force it by clean installing the OS with a Build 1809 ISO file when those become available. Microsoft whitelists PCs after confirming they’ll (probably) be safe from nasty bugs. If you install the October 2018 Update on a PC that isn’t compatible yet, you’re risking stability issues. Don’t do it.